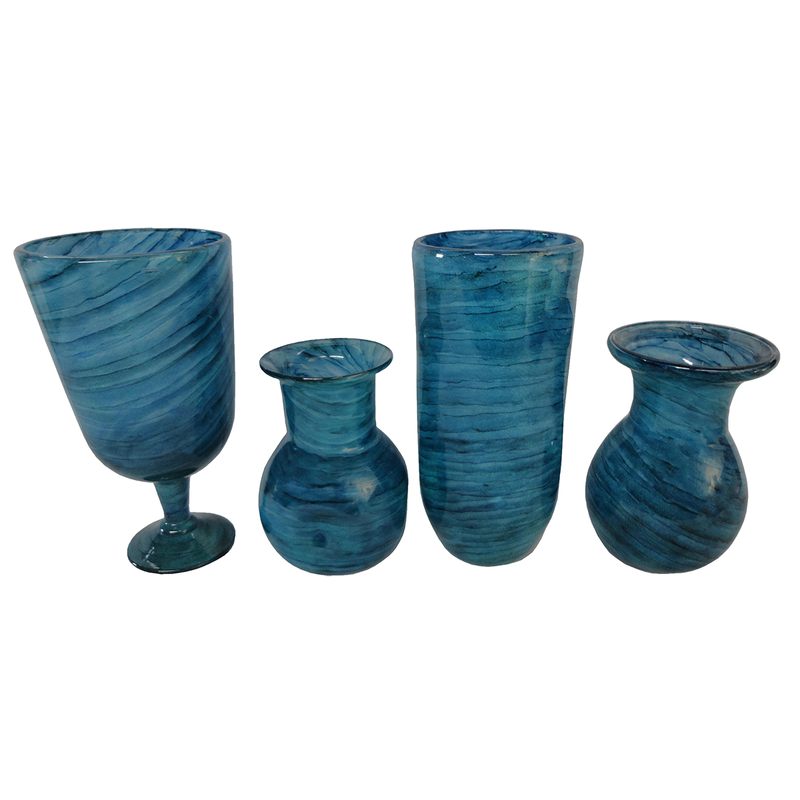 Add style to your room with the Blue Striated Vases - Set of 4. This vase set features delicate lines through gorgeous blue glass in various forms for coastal flair. ~ Ships from the manufacturer. Allow 6 weeks. Cannot express ship.